Spring has sprung although you wouldn’t know it from the still cool temperatures here in Durham. The good thing is, it is now palpable. It is coming and you can feel it. You can see it, almost smell it. 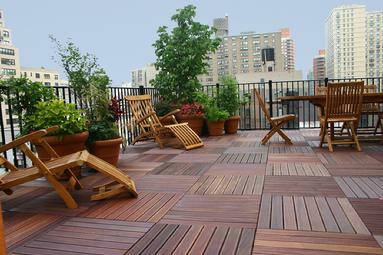 It’s definitely time to start sprucing up the backyard, and if you have one, your deck. Here’s a couple of new posts on the other sub-blogs. Oh It’s Planting Time Again! We have been, or rather I should say MY HUSBAND, has been working on getting our garden straight for the past few weeks. He cleaned up the beds, cleared some debris against the back fence and he created a couple of new beds since part of the old ones were taken up when he put up his little work tent. I took the photo above when he first started tearing up the garden. One of the things he did was pull up a row of canna lillies from the back to make room for a new vegetable bed. He’s moving the lillies to another corner of the yard. Whether you agree with it or not or even if it’s legal or not, more and more employers are demanding access to your facebook account. No, they don’t just want to be able to see your profile, they actually want your password! It isn’t enough that you can already find out almost everything about anyone online nowadays just through a basic search online, for employers to demand passwords to your accounts, I think is going a little too far. Next thing you know, they will want to riffle through your home before they hire you. But, that is just my opinion. I would pass over any job that would require that of me. It’s been a busy month at our house. The main event during this hectic month that just passed is my daughter’s graduation from high school. We’ve been celebrating since last month when she received her acceptance letter to college. Follow that with all the end of school events for three daughters and you can see how hectic things have been around our house. It’s a good kind of chaos though, one that I’m sure I am not the only parent to welcome. This is my favorite shot in the series of nest photos. See, a couple of robins started building a nest in our garden early in the spring. We were amazed that they didn’t build their nest high up in the tree like they normally do. Instead, they built it quite low, on the ledge of our grape trellis. Low enough that if I hold up my camera, I could see into the nest. 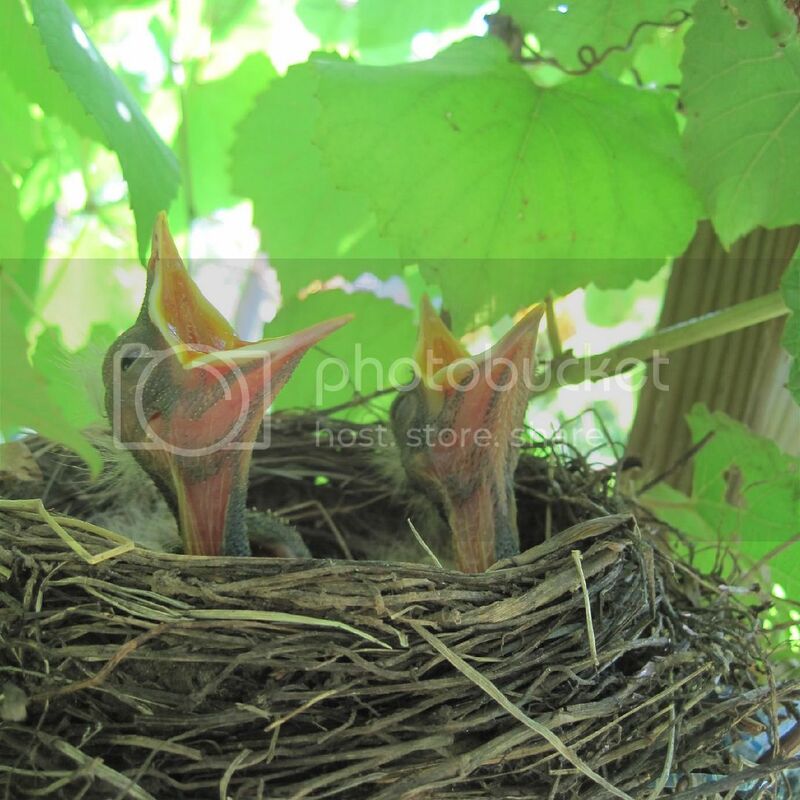 I managed to capture shots of the eggs until the nestlings hatched and flew from the nest. 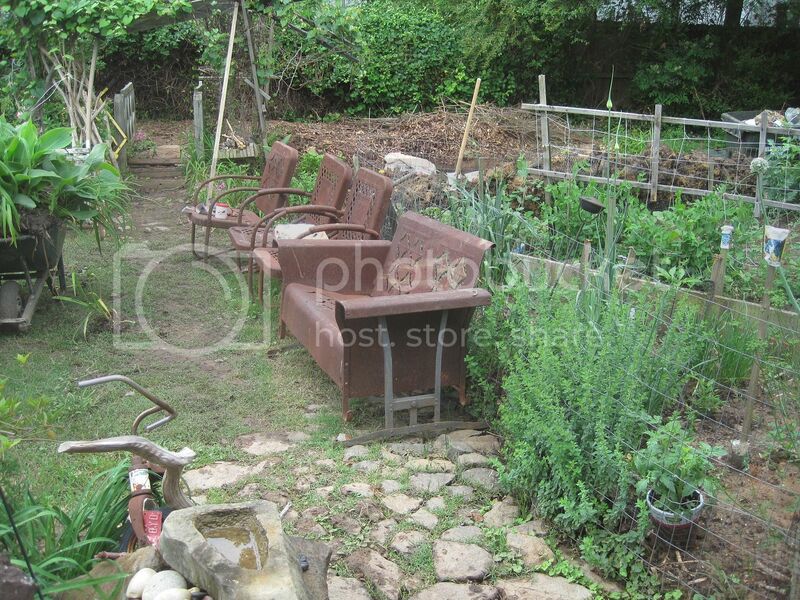 Check out the photos in our backyard.